Conventional zoning has traditionally focused on the segregation of land-use types, permissible property uses, and the control of development intensity through simple numerical parameters (e.g., FAR, dwellings per acre, height limits, setbacks, parking ratios). Design guidelines may be used to supplement conventional zoning but are typically advisory. Development quality, scale and uses allowed in a given area is dependent on a community’s planning objectives which are translated through local land use regulations including zoning, subdivision, building, and public infrastructure standards. However, there is often a disconnect between the community’s vision and land use regulations. Enter form-base code. Form-Base Code (FBC) is a relatively new and innovative method of managing growth and shaping development to achieve a specific urban form and mix of uses as preferred by a given community. Unlike conventional zoning, Form-Base Code addresses not only development but the relationship between public and private spaces such as the interaction between streets, blocks, and buildings in terms of form, scale and massing, and the use of frontage areas. FBC creates a predictable public realm by including specific standards for the design of streets and open spaces, and focusing primarily on the physical form of development, with a lesser focus on building use than conversional zoning regulations. Form-Based Code typically provides for an appropriate mix of uses and encourages strong relationships between a building and its context, including public spaces and surrounding buildings. Often these standards are presented in both diagrams and words to clearly illustrate the design and development objectives for a given district. What is included in a Form-Based Code? Regulating Plan – An overall master plan or zoning map where different building forms and public streets and spaces are generally defined based on clear community intentions regarding the physical character of a designated area. Building Form Standards – Regulations defining the configuration, design features, and functions of buildings that frame the public realm. Attractive and Functional Public Spaces and Streets – Design and functional specifications of the public realm (e.g., sidewalks, travel lanes, street trees, street furniture, open spaces, parks, etc.) that interact with surrounding buildings and create an attractive framework for private investment. 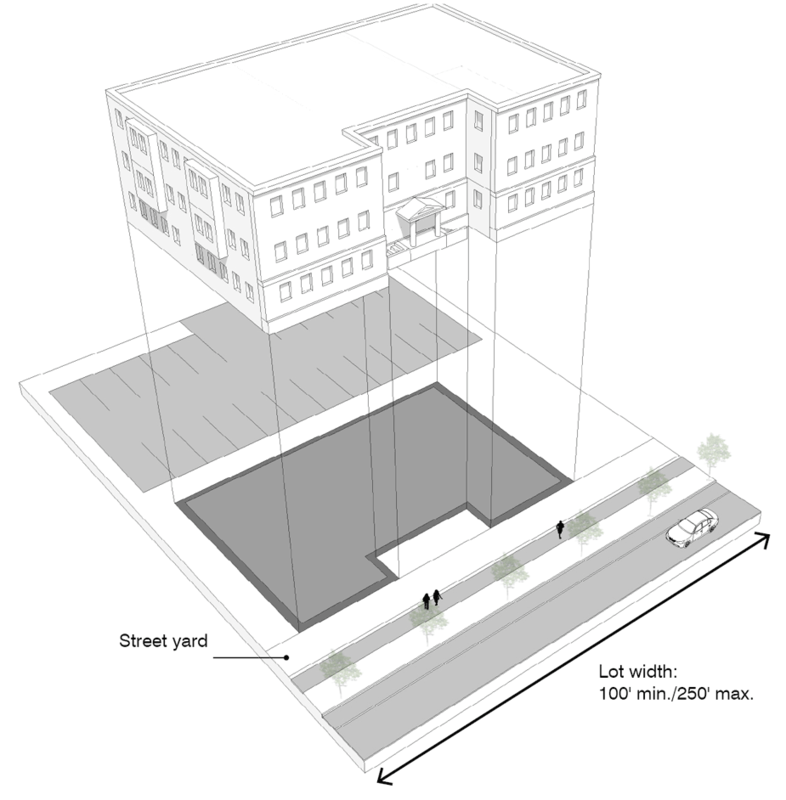 Strategic Building Placement – Buildings are typically required to be placed close to the sidewalk with frontage variations based on types of use (civic, residential, mixed use). The Regulating Plan may indicate a “build-to” requirement or setback range for buildings as well as parking and other accessory uses to ensure appropriate layout in context with surrounding building patterns. Creating an Outdoor Room – FBCs typically have minimum as well as maximum building height and building setback requirements providing a rhythm of development and streetscape designs that create a building wall and street enclosure as desired by the community. Orientation and Presentation of Building – FBCs typically require buildings to face the street and other public spaces. Front façades are limited to a specified length and broken up into sections forming an attractive building wall. FBCs may also require a certain percentage of window space at ground level to ensure visibility and attractiveness to pedestrians. Facilitating Mixed Uses – FBCs typically define the horizontal and vertical mix of uses rather than separating them like many conventional regulations. Adequate But Not Excessive Parking – Parking areas are usually prescribed to the side or rear of the building. FBCs typically allow (or require) shared parking and utilization of public parking in determining number of spaces needed. Administration – FBCs usually prescribe a clearly defined application and development review process. Definitions – FBC often include an illustrated glossary and definitions to ensure the precise use of technical terms. 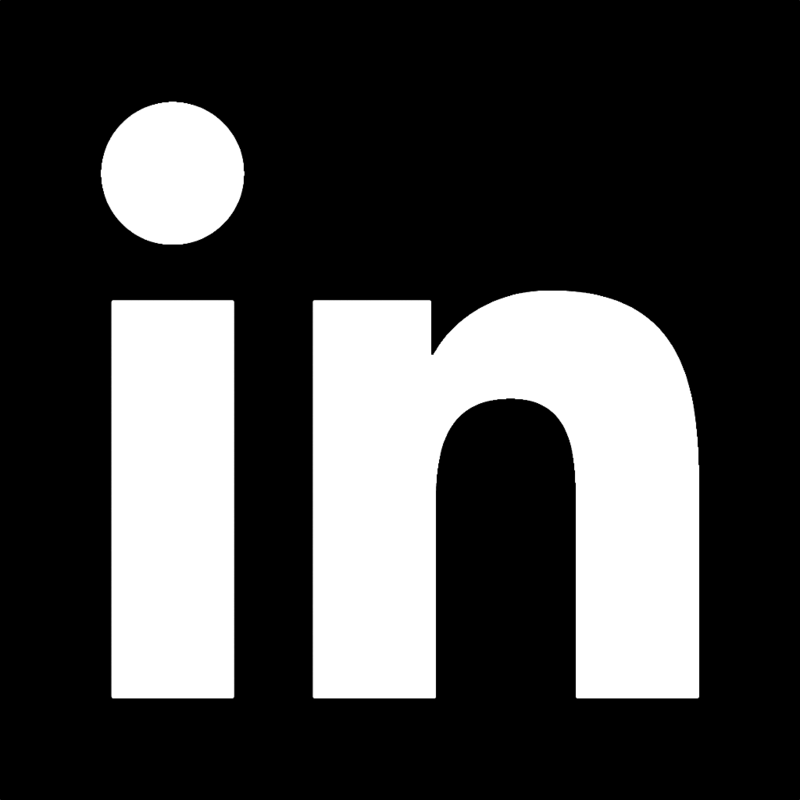 Supplemental Components – FBC’s may also include architectural standards controlling external architectural materials and quality. Harriman is currently working on a form-base code for the Broad Street area in Manchester, Connecticut. Broad Street was one of the first highway commercial shopping districts in suburban Hartford and thrived for nearly 30 years between the 1950s and 1970s. As shopping and travel patterns changed, the district has deteriorated rapidly with several vacant and deteriorated buildings. As a follow-up to the adoption of an urban renewal plan, the Town of Manchester hired Harriman to prepare new development regulations and design standards that fulfill the vision for the Broad Street Redevelopment Area. The Town and Redevelopment Authority concluded that a form-based code would be the most beneficial method of achieving the smart-growth goals outlined in the redevelopment plan, attracting new private investment, and facilitating higher density mixed-use of targeted redevelopment sites. Harriman is now preparing the new form-based code, regulating plan and design standards for the district that specifically define and illustrate the desired mix of commercial, residential and civic uses; quality building forms and materials; “complete street” hierarchy emphasizing intermodal and pedestrian-oriented design of thoroughfares; and open spaces that provide passive and active recreational opportunities within the district and throughout the community. Buzzards Bay was once the main gateway to Cape Cod and a bustling town center. As the transportation system changed over the years, Main Street was bypassed by major highways and the downtown began a trend of disinvestment and deterioration. The Town and local economic development corporation recognized the importance of this traditional downtown to the community and its economic potential given its proximity to the Cape Cod Canal and major highways. They prepared a comprehensive downtown redevelopment plan and action strategy, followed by the adoption of a new Form-Based Code to implement higher density mixed use development building off downtown’s waterfront attributes and marine related attractions. The new FBC replaced existing zoning districts and regulations that were oriented to highway commercial uses and site design. The new bylaw amendment includes new development standards, “Complete Street” design hierarchy, and architectural design guidelines specifically tailored to the community’s vision for high quality mixed use development. The historic development patterns are reinforced and expanded in the new regulations in terms of architecture, building size and design, site layout, street design, and pedestrian orientation. The design guidelines encourage high quality public and private development which improves the aesthetic character of downtown, allows diversity of building design and architectural styles, and minimizes conflicts between residential and commercial uses. The Town of Eastham is located on Cape Cod and bisected by Route 6, a major highway that runs the length of the Cape from Bourne to Provincetown. While Eastham hosts thousands of tourists each year, and many more that pass through, there is no true town center and long stretches of strip development along the highway. The Town’s planning vision it to establish a new village center in North Eastham. As a follow up to the preparing the North Eastham Village Center Concept Plan & Feasibility Report, the Town prepared a new Form-Based Codes and Development Guidelines, specifically calibrated to the community’s vision for a traditional town center with high quality mixed-use development. Traditional village development patterns were articulated in the new regulations and guidelines in terms of architecture, building scale and massing, site layout, pedestrian orientation, streetscape design, and relationship to surrounding public and private spaces.